If you don’t have an All Access Pass, you’re missing out. With 12 hours of education, 48+ education sessions and a dynamic keynote speaker, education at The Car Wash Show™ 2017 is your best opportunity to grow and develop as a car care professional. 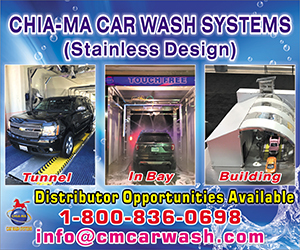 Visit http://www.carwash.org/news-landing/2017/02/07/are-you-getting-the-full-experience to view the full article online. Presented since 1962, the Car Wash Hall of Fame Award is given each year to car wash professionals who have made a lasting impact on the professional car wash industry. It is the Association's highest honor. We are now accepting nominations for this prestigious award! 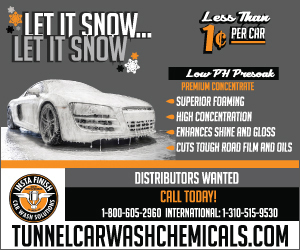 Visit http://www.carwash.org/about-ica/car-wash-hall-of-fame to view the full article online. 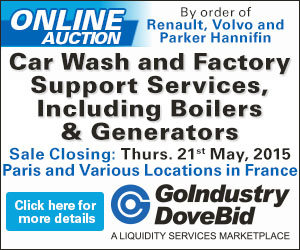 Visit http://www.carwash.org/for-operators/larry-harrell-scholarship to view the full article online. Dozens of cars lined along the 100 block of Shelton Beach Road Wednesday morning, all waiting to get a car wash. Rich's Car Wash Director of Operations Michael Bennett said since 8 a.m., more than 200 cars had come through the car wash in an effort to support injured Saraland Police Officer Jackie Tucker. Visit http://www.al.com/news/mobile/index.ssf/2017/02/saraland_officer_jackie_tucker.html to view the full article online. Little Rock-based Zips Car Wash nearly tripled in size in 2016, adding more than 40 ride-through car washes in nine states, and the company's founder says he's just getting started. Visit http://www.arkansasonline.com/news/2017/feb/05/future-gleams-for-carwash-chain-2017020/?f=business to view the full article online. Waves Car Wash hosted Tunnell Tuesday on Tuesday, Jan. 31, in Lewes. The event was a great success and raised $1,284 for Beebe Healthcare’s Tunnell Cancer Center. Mike and Danni Anthenelli, and daughter Gia, presented the check to members of Beebe Medical Foundation and Tunnell Cancer Center on Friday, Feb. 3. Visit http://www.capegazette.com/affiliate-post/waves-car-wash-presents-check-1284-beebe-healthcare%E2%80%99s-tunnell-cancer-center/125773 to view the full article online. A Jetsons future may be closer than you think: Uber reportedly hired a veteran NASA engineer to develop flying cars. After more than three decades with the National Aeronautics and Space Administration, Mark Moore is taking his Vertical Take-off and Landing (VTOL) expertise to Uber. Visit https://www.geek.com/tech/nasa-engineer-joins-ubers-flying-car-initiative-1687807/ to view the full article online. Visit https://www.cnet.com/roadshow/news/maserati-recalls-50000-cars-and-crossovers-for-fire-risks/ to view the full article online. 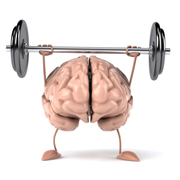 Visit http://www.inc.com/amy-morin/4-brain-exercises-champions-use-to-build-mental-muscle.html to view the full article online. If you find yourself wondering how to improve your leadership this year, you might want to take the no-buzzwords approach. Let me explain. Over the holidays, I took stock of 2016 and tried to determine what I wanted to do in 2017 (and why). While I love the executive coaching aspect of what I do, including being able to work with people to become better leaders, I’ve come to one conclusion: Too much of coaching and leadership training is rooted in buzzwords. Visit http://www.forbes.com/sites/forbescoachescouncil/2017/02/06/the-year-of-no-buzzword-leadership/#6e2a9ae16283 to view the full article online. 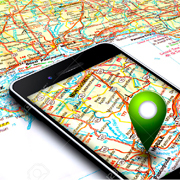 Geolocation is the next buzzword in marketing. As brands discover the power of GPS-fueled augmented reality (think Pokémon Go), they’re finding new ways to reach customers. For them, it’s meaningful not only to know not only where a consumer is, but also where that consumer’s attention is, and technology is making that possible. Visit http://fortune.com/2017/02/06/geolocation-marketing/ to view the full article online. In 2016, social media continued its rise with more than 2.3 billion active users and more than 1.9 billion active mobile social users worldwide. This large amount of potential customers has prompted 83 percent of all marketers to take advantage of social media marketing in order to boost sales, promote brand identity, increase social media followers, engage with prospective customers, generate qualified leads and so on. Visit http://www.business2community.com/social-media/top-8-social-media-marketing-trends-2017-infographic-01772758#hZKD1t06u3RH7kCw.97 to view the full article online.